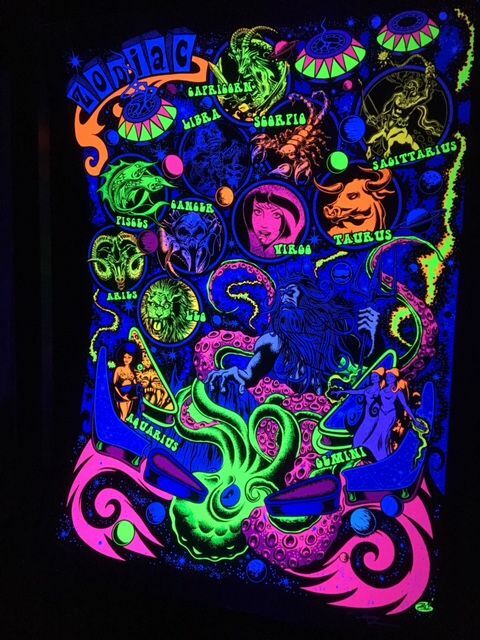 70's style blacklight Zodiak screen print posters are in! 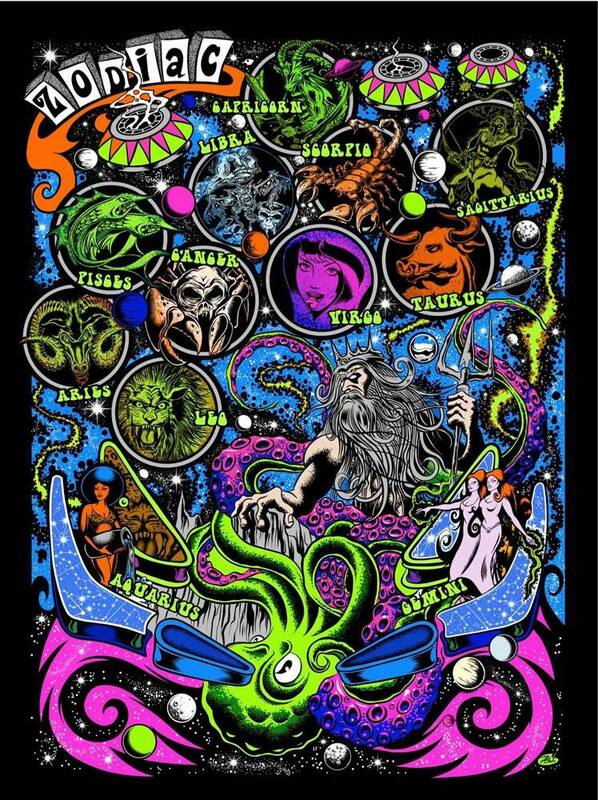 These are a limited edition signed and numbered 6 colour screen print. 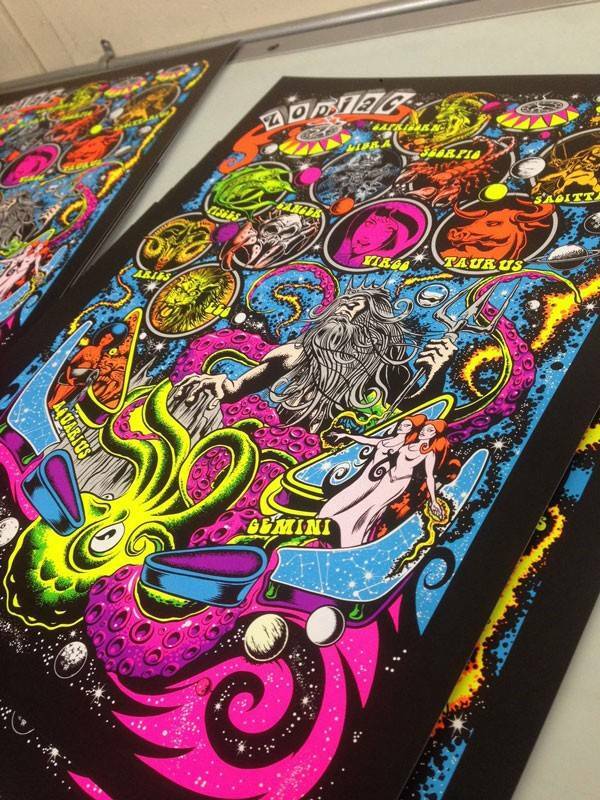 Florescent and metallic silver inks on a heavy card stock, we spared no expense! 18x24 inches.